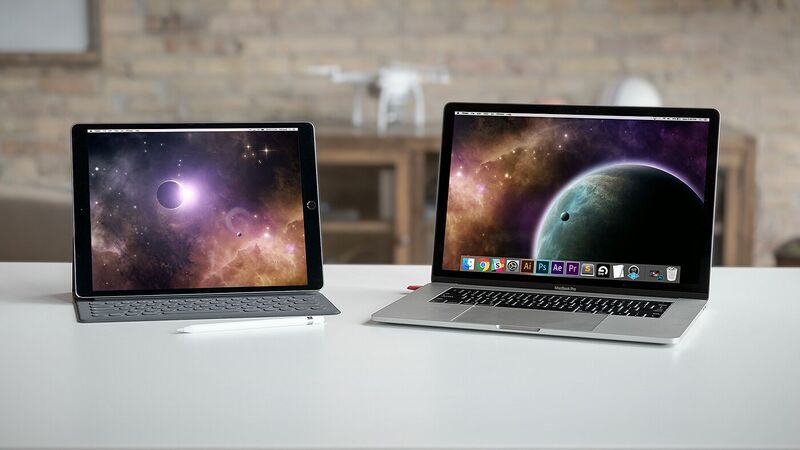 Luna Display, the little hardware dongle that turns your iPad into a second display, is now available to consumers. Luna Display was developed by the makers of the Astropad, an iOS app that turns your iPad into a graphics tablet for the Mac, and started out as a crowdfunding project on Kickstarter. Luna is available for USB-C or Mini DisplayPort and works through a Wi-Fi connection. The device lets you use your Mac directly from the iPad with full support for external keyboards, Apple Pencil and Apple touch interactions including pinching, panning and tapping. According to its makers Luna Display can tap into the processing power of your Mac’s GPU, allowing for a virtually lag-free user experience and images without glitching, artifacts, or blurriness which purely software-based solutions are prone to. Luna Display requires a Mac running macOS 10.11 El Capitan (or later). For optimal performance a MacBook Air (2012 and later), MacBook Pro (2012 and later), Mac mini (2012 and later), iMac (2012 and later) or Mac Pro (Late 2013) are recommended. The iPad must run iOS 9.1 or newer and should be an iPad 2 (or later), any iPad Mini, or any iPad Pro. Luna Display is now available for $79.99 on the Luna website where you’ll also find more information. Previous post: Digital Image Picture JPEG Desktop Wallpaper. Key West Beach.